SHOULD COFFEE HOUSES LIMIT THE TIME OF SPACE OCCUPIED BY lap top users?– is today’s Plinky prompt. Should they or should they not is their personal decision but as a coffee fanatic and coffee shop habitant I would say no. After all we are talking of a heritage life style. So I come to why not? Let’s understand the concept of the coffee shop. A coffee shop is something where time and space are consumed and we are charged only for the coffee. It’s usually a small shop. Maybe along the lines of bar. But, a variety of coffee, snacks and newspapers are vended. One thing certain about coffee… is that wherever no matter where it is grown, sold, brewed and consumed there will be lively controversy, strong opinion, and good conversation ~quoting Mark Twain here. 1475 the first coffee house documented at Istanbul during the rule of the Ottoman Turks, it was called	Kiva Han. When the Turks invaded Italy, they left behind the coffee bean bag, from where in 1642 emerged the coffee shop culture at Italy. 1652 the coffee shops invaded Britain. They were places where people met, discussed ideas and many a time they inspired political movement. The coffee houses, had a masculine, business ring to it, as opposed to the daintier Tea-houses or shops of the Victorian Lady. They were in fact known as penny universities as coffee houses were the places frequented by the socially upper class business man. The business activity occurring in these coffee shops were so intense that the Lloyd’s coffee shop is the point of the inception of the still existing Lloyd’s insurance! As a customer it is not like entering a McDonald’s or a Darshini where a prominent board is displayed “reading not allowed “the culture that the coffee house encourages is that people relax, they form part of the ambience too. A customer sitting for two to three hours is more likely to repeat orders than a meal. Early coffee houses of England had a jar where one dropped a coin;”TO INSURE PROMPT SERVICE” the tradition is still prevalent as TIPS. However there are certain etiquettes if followed by the customer would make the coffee house experience good for all. •	Pay for your Wi-Fi connection. •	Do form an informal group so too many tables are not blocked. •	Order for something every 2-3hrs. 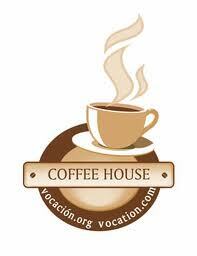 •	If you are working for more than 4hrs change your coffee house. •	Don’t hog the table space. I liked this story of a coffee house habitant, who used to pay $100 when she went to a coffee house telling the owner’s to use whatever balance was left to pay for the next customers. She did this every month at various coffee houses.